We are seasoned elearning professionals, adept at creating effective learning experiences for corporate clients. We understand that every project is different. From budget to business requirements, we analyse your training needs to design the best solution for you and your learners. We quickly get up to speed with any topic, working with your Subject Matter Experts (SMEs) to help you produce engaging elearning to support skills development and improve performance. Or check out our full spectrum of services to find how we can help you create unique learning resources. We are digital content specialists. From research and writing, to manipulating your source material, we can shape your content into concise and engaging, interactive elearning modules. We cater for international markets, writing in your choice of UK or US English, and using plain English to ensure content is easily digestible for all levels of learner. Our professional editorial and proofreading services guarantee your content is of the highest quality. We're expert instructional designers, and we know how to apply learning design theories to maximise skills and competency development. Whether ADDIE, Blooms, Gagne, or Kirkpatrick; we can use your preferred methodology to help you create meaningful learning. We understand that the creation of digital learning solutions is a design process. 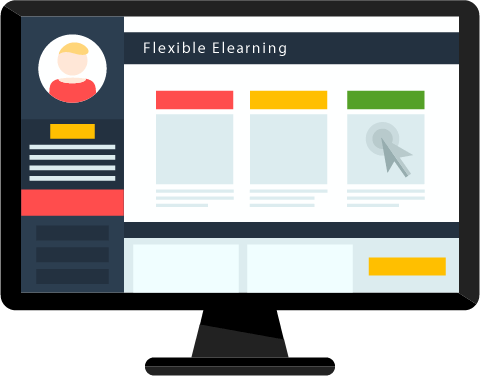 We use recognised multimedia learning principles to design audience-appropriate elearning, providing well-paced information with appropriate media and visual design. 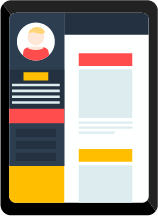 To produce the optimum learner experience, we draw on various areas of design, including UI, UX and interaction design. Mooka Media produced the content for a set of elearning modules. They did an amazing job and went the extra mile to manipulate the material to showcase the various features of our product. We look forward to working with them again! We needed high-quality content developed quickly. Mooka listened to our requirements and responded by presenting us with a number of high-quality options in a short period of time. We were particularly impressed with their creativity, flexibility and professionalism. We would recommend Mooka to anyone who requires best-in-class digital content development.